King delivering his speech “Beyond Vietnam” at New York City’s Riverside Church in 1967. By John C. Goodwin, TIME Magazine. 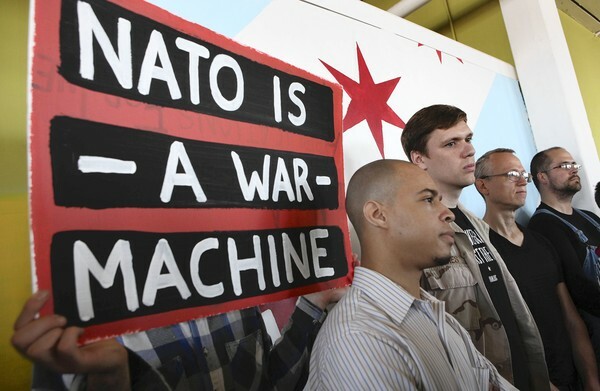 Members of various groups planning to protest the NATO summit including Jesse McAdoo, from the People’s Summit, Aaron Hughes from Iraq Veterans Against the War and Andy Thayer, protest organizer talk to the media Thursday, May 10, 2012, in Chicago. By Nancy Stone for the Chicago Tribune.